20 years on from the momentous events of August 1994 and the historic IRA ceasefire of that time, movement towards the reunification of Ireland has been sparse on the ground with Irish Unity arguably as far away as ever. Promises of a new and final phase of struggle to secure British withdrawal and the realisation of a sovereign Irish republic have failed to materialise, with the energies of Irish republicanism pinned down under the weight of the 1998 British-Irish Agreement and its ability to deliver, if nothing else, a degree of peace to the long-troubled six-counties while preserving the strategic interests of the British state in Ireland. The problem for republicanism is that this same Agreement, while capable of sustaining this peace of sorts, copper-fastens partition via the ‘triple lock’, acting as a rigid barrier to further constitutional change. In hindsight it should never have been accepted, or more accurately those who committed republicanism to this process, hinting at a back-door deal while appealing for a united front and trust in the leadership, should simply not have been given such free reign. It is then incumbent at this time to learn from the mistakes of the past and to reconcile a need to develop new strategies towards securing an end to partition with the desire of the people in Ireland to live in peace where possible. It’s difficult to see how anything beyond that can realistically hope to succeed at this point. There is now a pressing need for republicanism to provide a credible alternative to this new status quo, to provide practical and principled solutions capable of attracting the support we need to impact on the political process and force change. 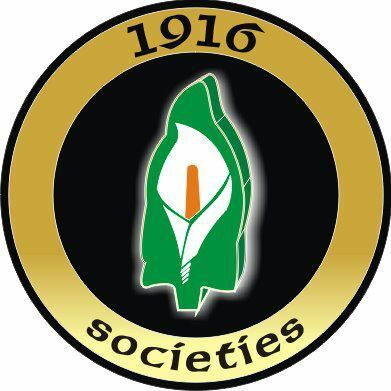 With that in mind the 1916 Societies believe our ‘One Ireland-One Vote’ campaign can create a new set of political dynamics, at home and abroad, capable of by-passing the limitations of the 1998 Agreement, spearheading a democratic and peaceful transition to Irish Unity. We believe it can allow us to build support for the republican position, giving voice to the legitimate demand of the Irish people for self-determination in a 32-county sovereign, democratic republic. 20 years on from that heady summer of 1994, when the world seemed at our feet, republicanism finds itself with massive work still to be done to achieve anything resembling its core objectives. That work remains for us to do. The party-political approach of former comrades has once again proven disastrous, fueling yet another abandonment of republicanism in return for greater power within the partition system. Now though is the time for fresh thinking. Our resolve is to build a worthy alternative, to give form to a solid argument backed by the Irish people that can force the British to acknowledge our democratic right to self-determination and freedom. Join us and help make this a reality, as we make it clear to Britain that after all these years it’s finally time to go.